One of the biggest trends in corporate computing is the rise of Bring Your Own Devices (BYODs). Employees have grown used to their consumer devices and increasingly want to use them at work as well as at play. Apple is leading the charge, particularly with its ubiquitous iPad. According to a CNBC Economic Survey, over 50 percent of US households own at least one Apple product, such as an iPad, iPhone or iPod touch. UK trends mirror this, with indications that Apple devices are the most adopted in organisations. Supporting the widespread adoption of Apple devices is an increasing array of data backup options – whether that involves the cloud or backup software. However, when individuals access their backup, it may not be up-to-date, accessible or usable. As a result, Kroll Ontrack has seen a 350 percent increase in personal Apple device data recovery requests in the past 12 months. The most requested data to be recovered from these devices are photos, videos and contacts followed by notes and text messages. In addition to the increase in personal device activity, Kroll Ontrack has also recovered over 1.1 petabytes of data from Apple devices in the past 12 months, which is a 16 percent increase over the prior 12 months. Apple devices are well known for their ease of use, high quality graphics, innovation and mobility. As a result, we see more critical data being stored on these devices and a greater sense of urgency to recover this data in the event of data loss. The rise of Apple devices in the consumer world is now being mirrored in business, with employees increasingly likely to bring in their own devices to access corporate information. So how should organisations address the growing trends of self-selected access devices and the increasing preponderance of Apple in work? In our view, there are two primary issues when it comes to data retention and bring your own devices in the enterprise. The first issue is managing the retention of documents, especially business critical information. For example, what happens when the user runs out of disk space? When users are working with an organisation’s device, there are usually regulatory requirements for storing documents that are imposed by IT. This concept must also be applied to people using personal devices to do company work. To ensure a manageable approach to data retention, companies need to create and distribute a policy that outlines what is – and what isn’t – acceptable for employees to do when it comes to personal mobile devices such as iPhones, iPods and iPads. Companies should also organise training that covers issues such as social media usage, personally identifiable information, strong passwords and privacy settings so that employees can clearly understand the appropriate and inappropriate uses of their personal devices. What’s important is to refresh this regularly. Social networks, such as Facebook, are well known for regularly changing their privacy policies and new networks, such as Pinterest, are coming out all the time, each working in a slightly different way. Relying on a 5 year old policy is a recipe for disaster. In addition, most consumers don’t run out and buy a backup system for their personal devices, but they should be aware of the many options available to them and look for a backup scenario that works for their lifestyle. 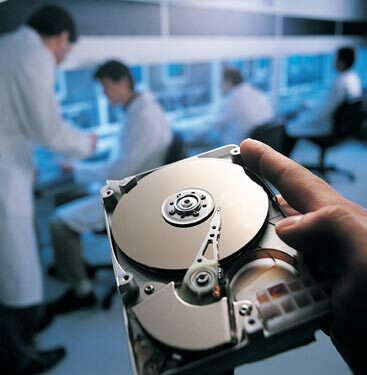 For example, an easy and effective way to backup data is through an online system. This gives users faster recovery if an issue does occur and multiple access points to their data so they don’t have to carry around physical storage such as a USB stick. The second issue relates to users being aware of their separate work and personal personas. For most, organising data and respective accounts to support these different personas isn’t an issue. However, business professionals should always try to keep their business lives separate from their personal lives. The rise of social media has made this more difficult, as people generally have one account where they display who they are in their personal life alongside information related to their careers. As these personas blend into one, users often make comments or post before thinking about who they represent as an employee. When users bring their own devices, this makes the situation even more complicated. With the evolution of personal devices, it’s very easy for users to have their personal and business lives at their fingertips both in and out of the workplace. Users should be advised that any work done on a personal device related to business belongs to the business and not the user (there’s also a further organisational headache for dealing with company-owned data – for example, on Dropbox or Google Docs – when staff leave) If this information gets lost or falls into the wrong hands, the user’s workplace can reserve the right to wipe the data remotely. It’s worth considering who has administration rights for shared documents and applications. Organisations must make employees aware of the authorised work storage environment from the very beginning. However, even with the most careful planning and training, organisations must recognise that data may still be lost accidentally by users. When this is data held on a BYOD permitted by a corporate, the next stage is to find a partner who can help to get it back. Common logical failures leading to data loss are deleted files, corrupt software, misplaced passwords and OS upgrade issues. Kroll Ontrack is the leading provider of data recovery, information management and legal technologies products and services and recently announced new data recovery techniques to address logical failures, or operating system (OS) failures, on personal Apple devices, including iPhones, iPads and iPod touches. Equipped with proven recovery capabilities and a full range of data recovery tools for both logical and physical failures, Kroll Ontrack, through its Ontrack Data Recovery services, now offers the most comprehensive data recovery for Apple devices on the market. It’s clear that BYODs, particularly Apple iPods, iPhones and iPads, are here for the long run. Restricting access or even banning them altogether is no longer an option: outlining a clear policy for employees and accessing robust services such as those from Kroll Ontrack are the only way forward.